A new study that was published in Science Daily suggests that that scientists are able to use GPS devices to monitor and track the drought in California. Although it is reasonably easy to measure surface water and precipitation, water sources that are underground and aquifers are hard to measure because they are difficult to get to. Scientists are placing the GPS devices directly underneath the earth’s surface, throughout California, and measuring their movements. This allows the scientists to get an exact estimate of how much the water has depleted. When there is a drought, the earth’s surface is “uplifted.” According to geologists, an “uplift” is when the earth’s crust slightly lifts up because there is less water weighing it down. In Coastal Range and southern Sierra Nevada, a previous study recorded uplift ranges from of 1 to 3 millimeters each year. The current study reviewed the past 11 years of uplift data in the western United States using GPS devices. As of March 2014, there was a loss of approximately 230 gigatons of water over the past 11 years. That is equivalent to the mass loss in one year from the Greenland ice sheet. In an effort to save water, some California residents have even painted their lawns green. California’s agricultural sector has been tough on the limited water supply including thriving marijuana business. Furthermore, the citizens of California are consuming water at a rapid pace. The new study using GPS devices provided some good news regarding the earthquake risk in California. 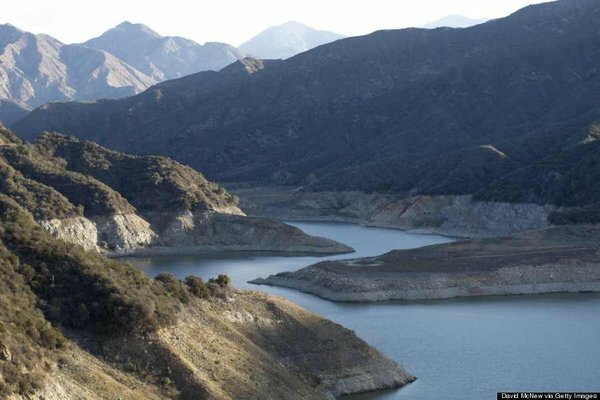 In the past, there were some experts that expressed their concern that the drought could create additional stress on the San Andreas Fault, which runs through the state. The new study found that the additional stress will “unlikely” affect the earthquake risk. The new approach to drought measurement and tracking using GPS devices provides a better way for scientists to monitor underground conditions. The GPS devices are placed in underground stations throughout the western United States. These stations provide a precise view of the amount of water in the soil. If the GPS method were to be widely adopted, scientists suggest that it could drastically change the range of water monitoring throughout the world, providing many economic and social benefits.